How is Your Practice? Practice with Us! LEARN Mindfulness Based Meditation through this eight week class and receive custom recordings, a workbook and resources to enhance your personal practice. Pre-registration for the program is required. Open to graduates of the Saratoga Stress Reduction Program, we will offer several SSRP Graduate Meditation Programs throughout the year to strengthen your meditation practice. Dates and themes will be be announced in our newsletter and found on the One Roof Graduate Program page and workshop calendar. Please contact us for more information or to register. You are also welcome to rejoin/repeat regular classes of the Saratoga Stress Reduction program if you find that your practice has lapsed. Held at One Big Roof (538 Maple Ave, Route 9). SUNDAYS, 9-10:15am. Questions, contact Pierre at 413-992-7012. Dharma is a standard word for inspirational topics that support us in our emotional, cognitive, ethical and wish for well being and well flourishing. 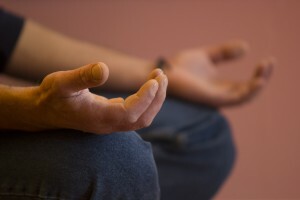 The structure of this meditation is a sitting meditation for 25 minutes with a silent break, allowing people to stretch, followed by a second sitting, which is introduced by a brief talk. At the end of the meditation, people receive a copy of the teaching. A discussion on the topic and some insights and reflections about the nature and commonality of our basic humanity is shared by attendees. This meditation is open to everyone, beginners and/or those who have been meditating for awhile. Guests can sit in chairs or on cushions, which we provide, for the sitting meditation. This group has been ongoing for over ten years. People of all backgrounds attend and all are welcome under One Big Roof. No RSVP necessary. By donation ($10 suggested). 1st & 3rd Wednesday, 12:30-1:30pm in the Susman Room, SSPL. NO pre-registration is required. Just drop-in. No experience necessary. FREE & OPEN to the all. Please join us! NOTE: No Library Meditation in JULY or AUGUST for Summer Vacation. Saturday mornings 9:00-10:00am over the summer every other week (May 18, June 1, 15, 29, July 13, 27, August 10, 24), as listed on the One Big Roof calendar. Fee: $20.00 per session. *RSVP required please. Breathwork is an active meditation that moves stuck energy in the body (fear, anger, anxiety, grief and negative thought patterns). As a person breathes, their mind begins to quiet, endorphins are released, and the heart begins to open. This class will include the breath and an upbeat playlist. It’s like nothing you’ve ever experienced before. No prior experience with meditation is necessary. The One Roof online store offers a variety of CDs that are very meditative including “Breath of Love,” which features all three of our Stress Reduction instructors – and Dr. Selma Nemer’s “Releasing Anxiety.” These are also sold at our 58 Henry Street main office – see Administrative Director Mary Kathryn Monday thru Thursday.